Finding a Residential Window Cleaning Estimate to have your windows cleaned that you are pleased with can take up some time occasionally. As a homeowner, you are always looking for value. Wanting the best services, but at an affordable price. Residential Window Cleaning Estimate can vary from company to company. Which is why you have probably shopped around for estimates before. As a homeowner, you want to understand what the market is like for the service you are wanting. To make sure that you are paying a fair and reasonable price. There is nothing wrong with shopping around for estimates. 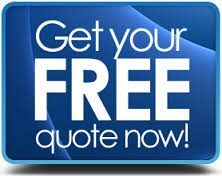 Many companies may try to give you a quote over the phone and then after they complete the service, the price has changed. That often happens because when one is not able to see something, they cannot get a clear image of how large the home is. And unfortunately, give you an estimate that was wrong and you end of paying more money. That is why with us, we do not give estimates over the phone. We want to be as transparent as possible with our customers. And believe that to give a fair quote, we must come to your property. Only then, will our expert be able to see how large your home is, how many windows you have, and ask you how many windows you want cleaned. We our here to service our customers and believe that without seeing your house, we cannot give you an estimate. Now you are probably wondering how you can get one of our experts out to your property for your Residential Window Cleaning Estimate. That is easy! All you have to do is call our friendly specialist at 832-639-3434 to schedule your estimate. Once your appointment is scheduled, one of our experts will come to your home. During this visit, our expert will be able to visually see how many windows you need cleaning. And also determine how long the labor will take them. Throughout the appointment, you can ask the expert cleaner any questions you may have regarding the products we use or how long they believe it will take t complete the job. Once all the expert has gathered all the information they need. They will then work on your Residential Window Cleaning Estimate. The estimate will take into account, how many windows, size of windows, and labor. Once the estimate is completed, it will be retuned to you and the costs broken down for you to see. It is that simple to get a Residential Window Cleaning Estimate from us. So, what are you waiting for, give us a call at 832-639-3434 to schedule your estimate today!